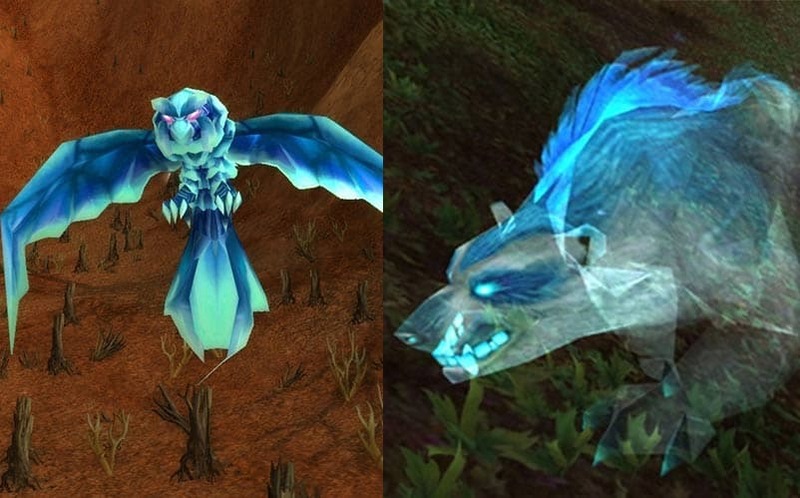 Tameable Rare Hunter Pets that Every Hunter Needs to Find | Nerd Much? In World of Warcraft, hunters have some unique abilities that no other class has. One of these abilities is taming beasts throughout the world. These beasts assist you in battle, and if you have chosen the Beast Mastery spec, they make up a significant portion of your DPS. One thing that a Beast Master can do that the other hunters cannot is tame exotic beasts. You can use your Beast Lore spell to find out if a beast is exotic or not. The coolest exotic beasts are tameable rare spawns. If you want some really cool pets that most hunters haven’t tamed, here are some rare spawns that you can travel around and look for. Just don’t forget to stable pets after you tame them to make more room. Quall is a tameable bird of prey that was added to the game in patch 5.1. It almost looks like a spirit beast with its smoky blue coloring. Quall is level 25, so like any other beast you tame, you need to be at least level 25 to tame it. However, if you’re over level 25, then it will become the same level as you once it’s tamed. You can find him in the Stonetalon Mountains at waypoint 59.8, 64.0. Olm the Wise is another rare spawn that was added in 5.1. Unfortunately, this NPC has about a 7-8 hour spawn timer, so it’s difficult to find. However, everyone knows that makes it an even greater achievement once you are able to tame it. Although Olm has now been around for years, only a small percentage of hunters have him for a pet. Olm the Wise doesn’t always respawn in the exact same location, but he is always in the same general area in northern Felwood. You can find him between waypoint 54.6, 27.2 and 57.6, 19.4. Olm the Wise is another rare spawn that was added in 5.1. Unfortunately, this NPC has about a 7-8 hour spawn timer, so it’s difficult to find. However, everyone knows that makes it an even greater achievement once you are able to tame it. Although Olm has now been around for years, only a small percentage of hunters have him for a pet. Olm the Wise doesn’t always respawn in the exact same location, but he is always in the same general area in northern Felwood. You can find him between waypoint 54.6, 27.2 and 57.6, 19.4. Another amazing bird of prey that you can tame is Adona. He is a level 75 blue and purple bird that can be found in several different locations around Sholazar Basin. Adona has been reportedly most often seen just southwest of River’s Heart. However, he can be found just about anywhere in Sholazar. Another amazing bird of prey that you can tame is Adona. 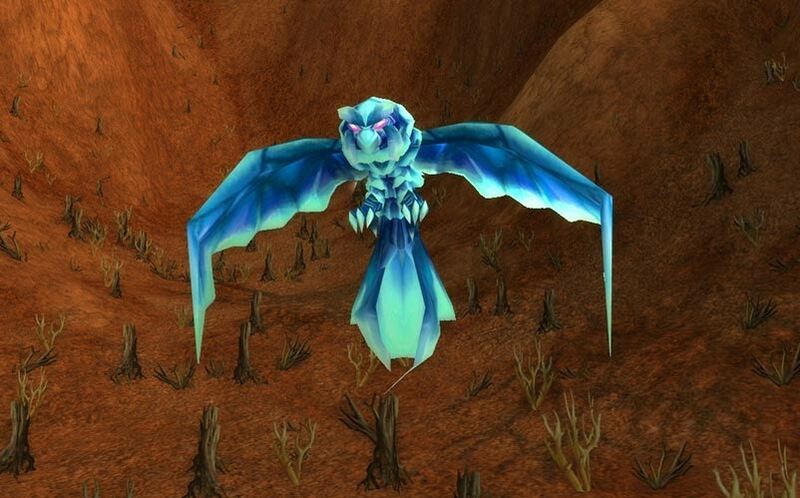 He is a level 75 blue and purple bird that can be found in several different locations around Sholazar Basin. Adona has been reportedly most often seen just southwest of River’s Heart. However, he can be found just about anywhere in Sholazar. Spirit beasts are some of the most fun beasts to tame. Everyone who plays wow loves the spectral look, and having a spectral pet is always exciting. There are many different spirit beasts that you can tame as a beast master that have been added from WoLK to Legion. Loque’nahak is extremely rare. In fact, the spawn timer is about 7 to 8 hours long. This makes it an amazing personal achievement to any hunter who is able to tame it. The next spirit beast added during WoLK is Gondria, who was added in the 3.1.0 patch. This spectral saber cat ca be found in Zul’Drak. Gondria has been known to spawn in dozens of different locations around Zul’Drak. However, there are six locations that seem to be the most common. These include: (77, 70), (66, 78), (63, 43), (69, 49), (62, 62), and (62, 52). The waypoints have been rounded to the nearest whole number, so you might have to look around the area a little to find her. Finally, Skoll was added in patch 3.2.0. He has no valuable loot, so people don’t camp to kill him. Unfortunately, he has about a 12-hour spawn time. You can find him in one of three areas in the Storm Peaks which are marked on this map. 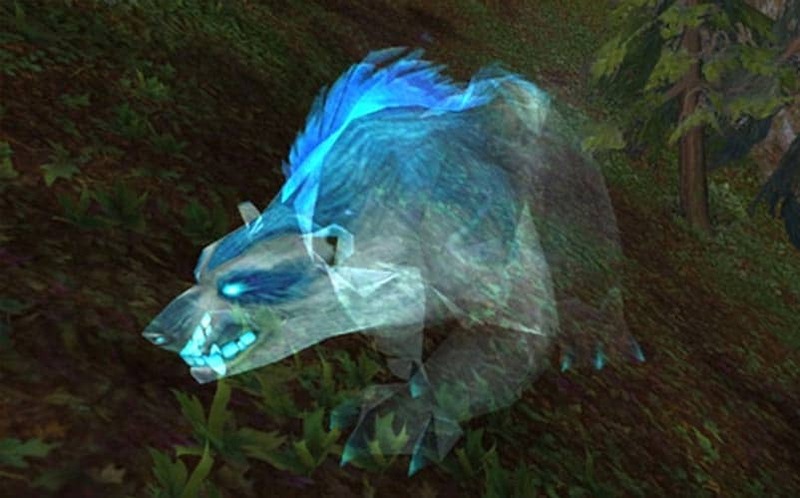 Eleven more spirit beasts have been added to WoW since WoLK. The latest addition to the bunch is Bulvinkel, a spectral moose that was added in patch 7.0.3. Bulkvinkel can be found wandering around southeast Stormheim. The best way to try and find him is to start on the road that goes south of Valdisdall. Head southeast, toward the Halls of Valor. Go around the west side of the building and jump off the lower balcony to access the hillside. Run straight up the mountain and head southeast toward the grassy southern tip of Stormheim. Use a goblin glider if you have one to get to the bottom. You can find him on the northern tip of the grassy area just at the base of the mountains. There are many more types of rare spawns to tame in World of Warcraft. These include chimaeras, core hounds, devilsaurs, worms, and slithids. If you have been showing up in dungeons and raids with the same beasts as everyone else, it’s time to go start hunting rare spawns so you can get a proper collection going.